One would think when one owns a company, one would know all the products one’s website carries. Well one would be very mistaken thinking like that. I was doing some price changes today when I ran a report for GE. “GE” I said to myself. “We carry GE products?” Well I went right to BuyTheCase.net and low and behold, yes we do carry GE products. So then I decided to see how our pricing compared. I figured we must be way off the mark since we are primarily a grocery retailer. 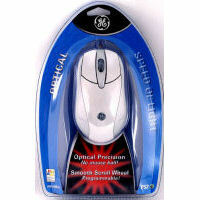 Well I googled GE Optical Mouse PS2 Connection and low and behold, I found that we are either cheaper or right in the same ballpark as other companies selling the same product online. So I think in the next few weeks I am going to have to explore BuyTheCase.net’s website and see what other surprise products we carry! If you have found something on BuyTheCase.net that you were totally surprised about, please let me know. I will compile a David Lettermanesque top 10 list of all BuyTheCase.net surprise products and blog about it. Could be quite interesting! PS I would like to point out that you do have to order a whole case of mouses to get our price. But if you are the buyer of all things computer for your company or if you have kids who keep breaking the mouse (so aggravating!!!) then this is a sweet deal for you!! This entry was posted in computers and tagged buythecase, computer mouse, david letterman, GE, Ge optical mouse ps2, top 10 lists. Bookmark the permalink.